Do you tuck shoes into a flimsy plastic organizer that hangs on a door? Or does your footwear have an even worse fate: tossed on the closet floor? Shoe organization sometimes plays second fiddle to the attention that clothing gets. But what if your sneakers, boots and loafers had a custom-designed solution that kept everything neat and within reach? At The Closet Works, we specialize in designing storage that fits your life. That means the finest leathers, delicate silks and even your favorite flip flops can have dedicated closet space that's efficient and made to last. If you're like most people, some shoes seem to find their way into your daily-wear rotation while others are kept for special occasions or specific outfits. 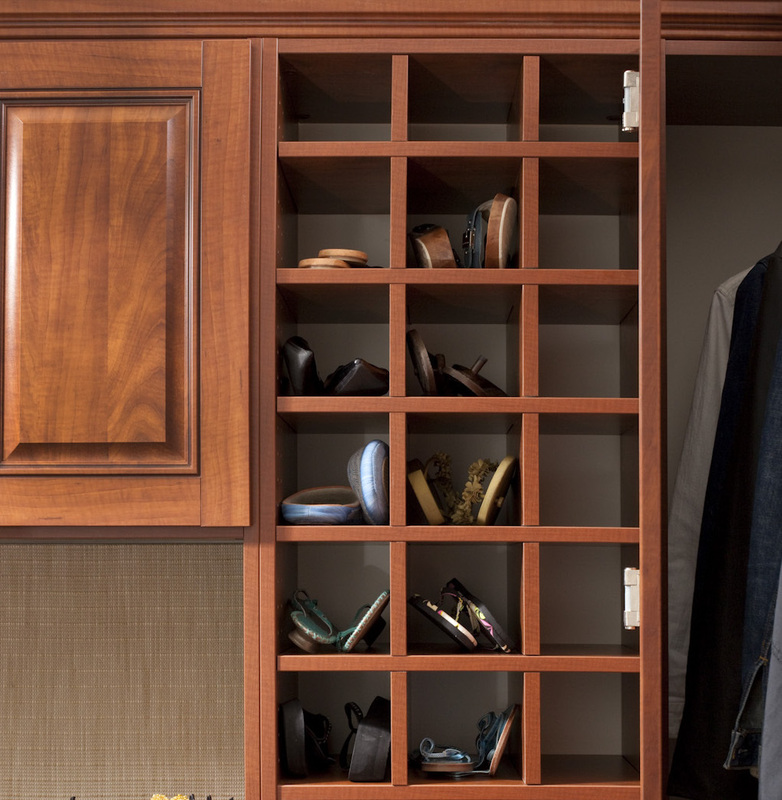 Your go-to shoes should be conveniently stored, and a series of cubbies gives you that. They're not fancy, but they're very smart, and ideal for flats and sandals. Boxes fit inside perfectly, too. The great thing about cubbies, aside from the tidy grid that they create, is the ease of access. You can see exactly what you've got at a glance, grab your shoes and go. And because cubbies are separated, shoes won't become jumbled up with each other. Your best shoes benefit from a little special attention and display. Install slanted shelves that tilt forward, and you'll see everything at a glance. The next step is choosing a decorative and functional shoe fence for the leading edge to keep pumps and wing tips in place. If your nicer shoes see less wear, consider slanted shelves higher in the closet. You'll reserve the easy-reach areas for shoes that you wear more often, but everything that you own will remain in plain view. Nearly everyone loves boots, and nearly everyone has the same storage issue with them. They're large - much larger than sneakers or flats - so they take up an awful lot of space. And in many cases, you don't wear the same boots every day. One way to solve the boot storage issue is by keeping them on the floor. If you retain their boxes, you can stack them there or high on a shelf. Also, ask your Closet Works designer about the Boot Butler. This innovative tool lets you hang several pairs of boots vertically in a space that's barely wider than a clothing hanger. Boots don't fall over and lose their shape, and you don't have to shift boxes around to find the pair that you want. Shoe storage can be as straightforward as shelves or as interesting as a mix of shelves, cubbies and cabinets. You could even add a mudroom or entryway organizing system with shoe storage underneath or inside. That's great for keeping dirty shoes from making their way into the house. 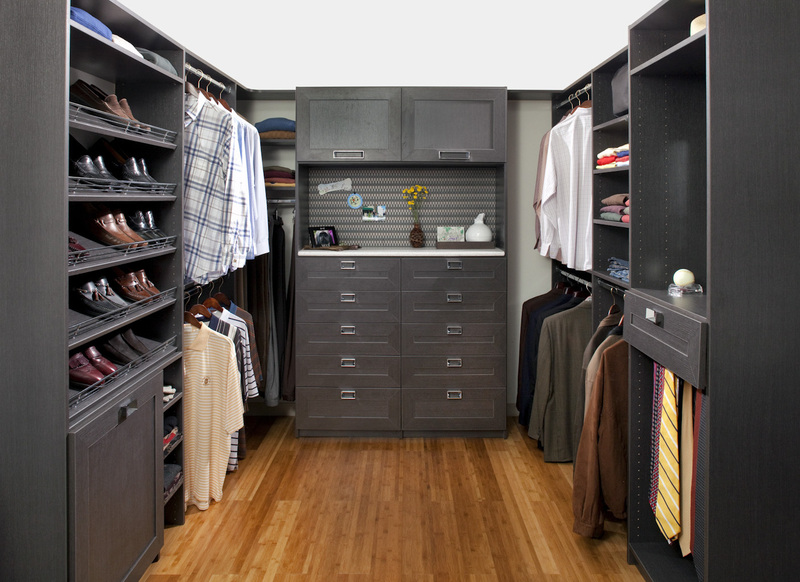 It all depends on what you have, and how you want your closet to look and function. At the Closet Works, we're here to help you create the best system for your home and lifestyle. Contact us today to learn about the numerous solutions available for your family's footwear storage and organization.